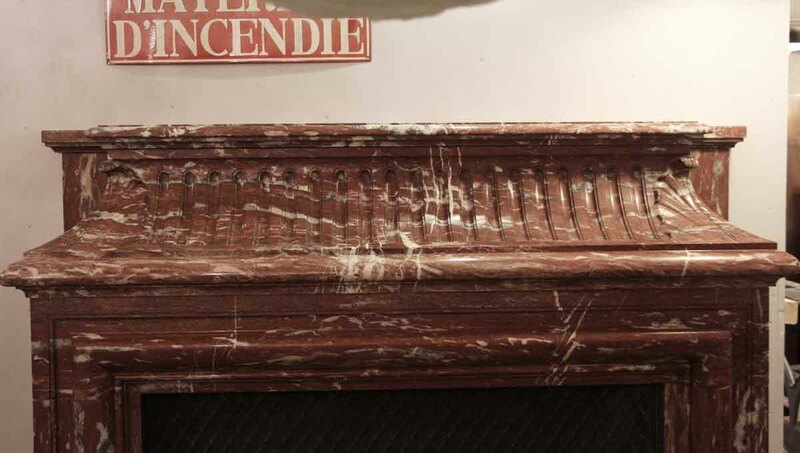 Spectacular red Morello marble mantel from the Gloria Vanderbilt Mansion at 39 East 72nd street. 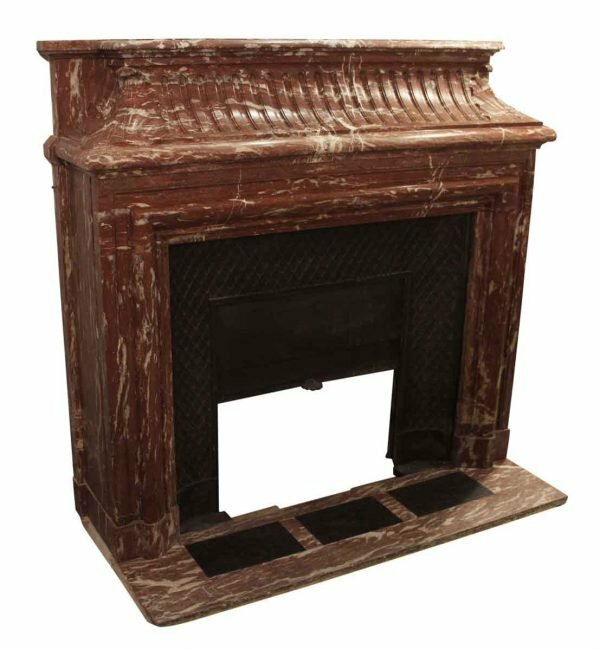 This rare carved showpiece has an incredible high upper shelf, along with lattice iron detail work on the insert/summer cover that actually pulls down to close. 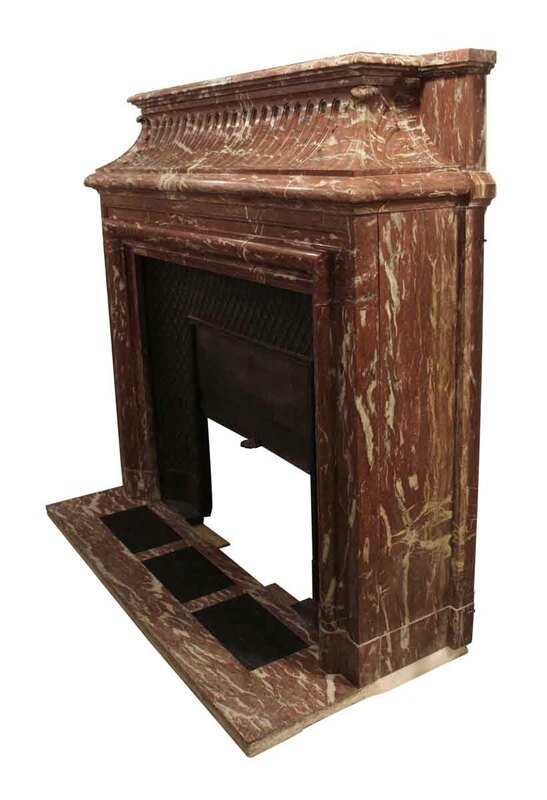 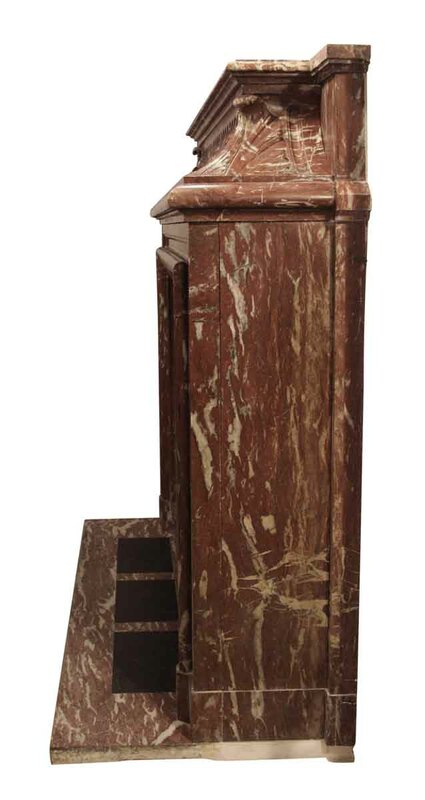 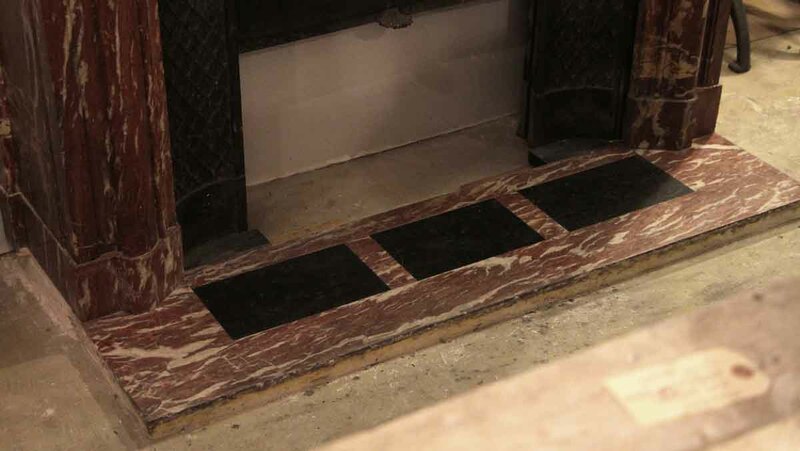 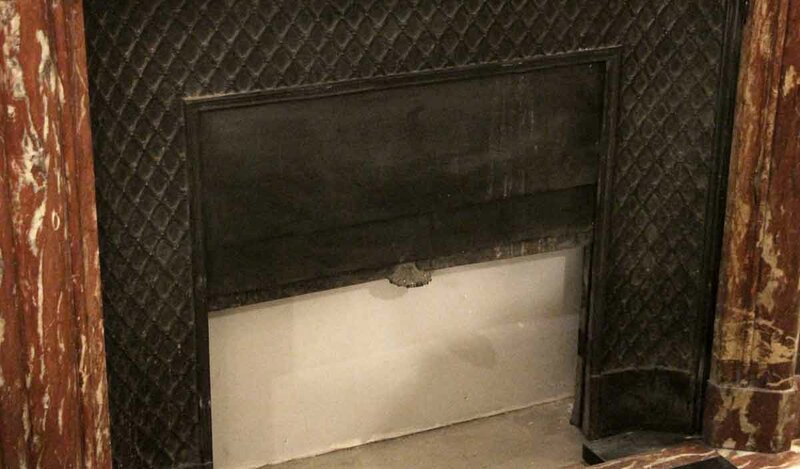 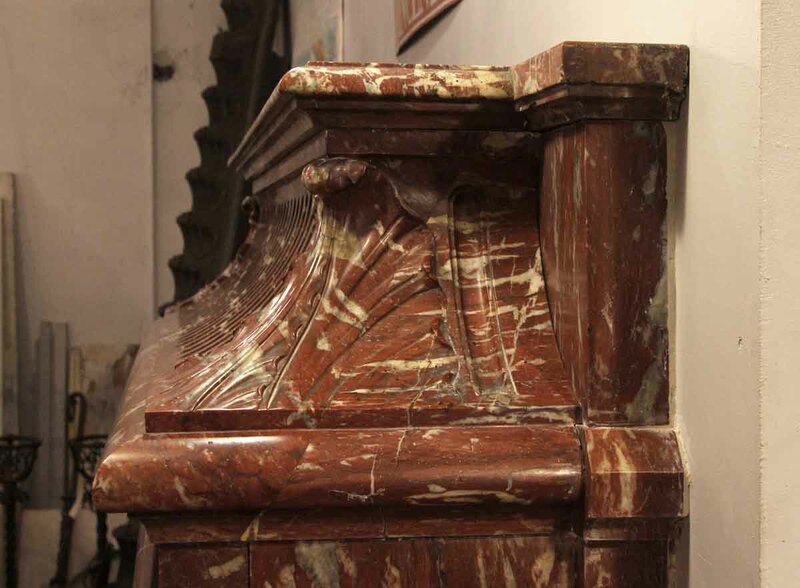 The original black and red marble hearth is in excellent condition.